As the most emotive form of communication, video is the ultimate medium for grabbing the attention of any audience; you can convey a multitude of messages, in an interesting, visually appealing yet informative way. But for many companies and organisations who haven’t previously invested in video, it is sometimes hard to justify the cost, or appreciate the true value of video – to your brand, products and services. So how can you justify investing some of your marketing budget on video content? A well produced video will not only allow you to significantly extend your ability to reach and engage with new audiences, but also deliver a measurable return on your investment, if distributed correctly. Your video should be researched and professionally produced to evoke the desired response from your audiences. If done correctly this will not only enhance and shorten the lead generation process, but will also significantly improve the quality and value of the lead generated or outcome achieved. Basically – the more video content that you can produce, the better! Here are some suggestions for how you can capitalise on our continued and growing love for video! Online video is a very valuable piece of collateral particularly for both B2B and B2C marketers; simply because today’s audiences love to watch video online. It adds true value to your proposition, can set you head and shoulders above your competitors, plus it provides a platform which allows them to get to know more about you, at the click of a mouse. Independent studies including Forrester, show that online web-video improves SEO rankings, click through rates and ultimately sales conversions. If you have existing collateral, that is still relevant and does not look old or can be aged by dress, functionality of products, changes in laws etc, then you can re-edit, freshen, update and repurpose for a new online environment. By launching online, via your website but also via the most popular and appropriate social media networks i.e. YouTube, Vimeo, Facebook etc, you are showcasing content that may not have been seen by the wider public. Video is portable! You can prompt viral activity by producing an interesting, amusing, visually appealing or informative clip, which can be emailed from recipient to recipient. In our busy world, having the choice of watching a 3 minute video clip or reading a whitepaper, the vast majority would choose to watch the video. By adding one click sharing tools, such as LinkedIn, Twitter etc you can share content easily and quickly. Create video case studies – we have found these can be extremely powerful, when carefully produced to tell an interesting and engaging story that brings to life how your skills, expertise and solutions have made a lasting and significant impact. Produce Webinars: film collateral which can then be utilised online, by subscription but also reedited into shorter video clips, by topic if appropriate. You could also tease your audience by producing a brief video teaser, flagging the forthcoming webinar, product launch etc which should help to stimulate registrations. Promotional loop video for Tradeshows and Conferences: collate or produce promotional loop videos for use at relevant events, tradeshows and conferences which can act to attract visitors to your stand, but also reinforce key brand messages, values and propositions to a captive audience. “Vox Pop” testimonials from existing clients: Filming of testimonials can be organised independently or for an unusual twist. Why not film at your events and conferences and post clips on your website, social media marketing sites, or a specific micro site relevant to the event itself. 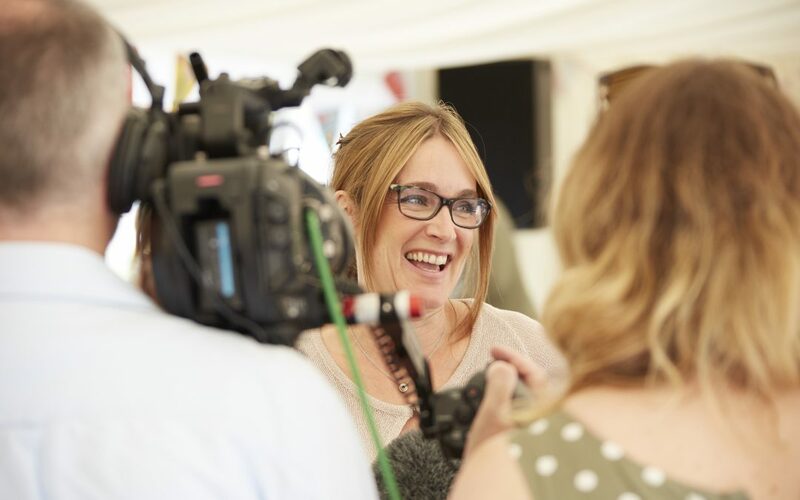 Vox Pop testimonials will serve to position your company as a leading organisation within your sector, prompt viewing and advocacy from existing clients, whilst providing you with the opportunity to interact within social media networks, in real time. Video Executive Summaries – create short video executive summaries, highlighting new initiatives, legislation or processes, or simply an overview of the Annual Report for your Company. Create a video micro site: A micro site is ideal for videos and video clips. If you can commit to producing real, visually appealing content in line with your marketing strategy, then producing a micro site will provide the idea platform to publish and showcase your new collateral. So, to summarise, by conveying the human face of your company, products, services and your existing client-base, you establish an identity and personality for your company, enabling you to capture the attention of your target audience whilst projecting credibility to a wider audience. iQ Media has been producing effective videos for a wide range of clients for over 25 years. We have extensive, state of the art in-house facilities which allows us to provide a complete service; over which we have complete control from script, through filming, editing and 2d or 3d graphics through effective social media distribution and upload onto your website. Our aim is to provide a creative, value for money service of the highest quality service, that delivers results and to help us achieve this we have a number of cost effective video production packages which include the IQ-video bulletin, the IQ-infomercial and the IQ-video brochure. To learn more about how investing in video can work for you, please do get in contact by calling +44 1625 418666, visit our website or email simonpoyser@iqmediagroup.co.uk. We can then discuss requirements and ideas to meet your needs and provide you with comparative proposals. Please take a look at the IQ Media video showreel for some recent examples of our work.